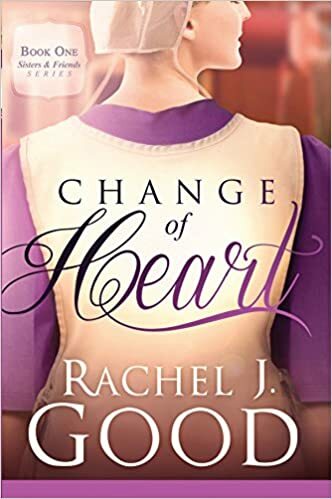 Change of Heart by Rachel J. Good had me captured from the start. With three older sisters growing up I could understand Emma wanting to get away from someone she thought was trying to control her. As a mother I could also understand Lydia and the need to protect part of her family. Such a dilemma that was a delight to read. The atmosphere was described so well it had me feeling like I was their world. For instance, the partying in the barn, descriptions of living conditions for Emma, and how the family dealt with trying circumstances, kept me turning the pages. Although I loved all the characters in the book even Dat, Grandma remained my favorite character throughout. She was sturdy and was not going to let anyone run over her. She does what she feels is the right thing to do. Her willingness to immediately forgive is something we should all do. This book made me realize that we cannot change anyone. They have to want to change themselves. We also cannot protect them from everything. No matter how hard we try. Change of Heart to me was fine as a stand alone book. At the end of the book though I was able to read the first chapter of the next book in the series. It was so good! I can't wait to learn more about Emma.